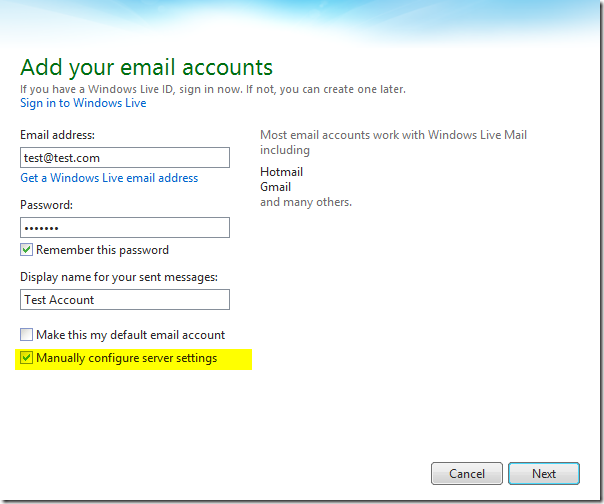 Use the guide below to assist you in configuring an POP3 email account in Windows Live Mail 2012. Note: This guide may also be useful for previous releases of Windows Live Mail however what you see may vary from the screenshots provided. 1. 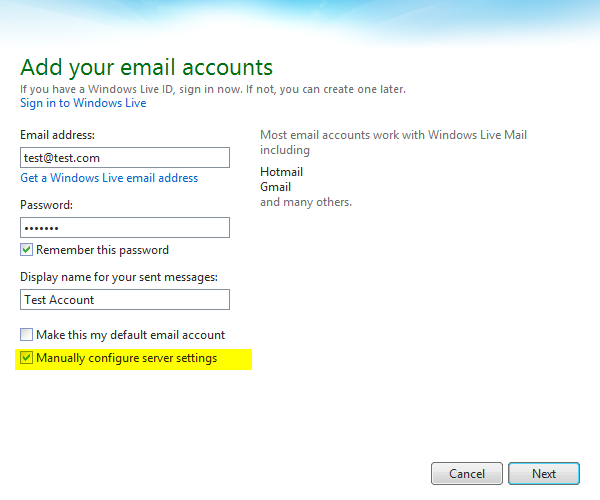 Once Windows Live Mail is opened go to the Accounts tab and click the new Email account button. This will bring up the “Add your email accounts” window. c. Display name for you sent messages: This is an optional field, generally you will just want to enter your full name. 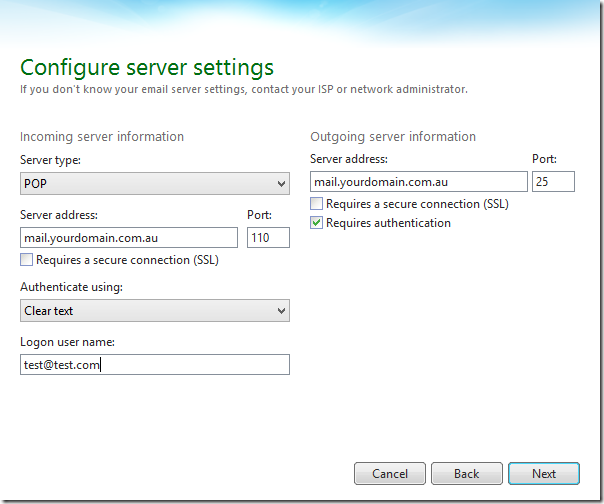 d. Tick the box “Manually configure server settings”. 3. Click Next to continue once all fields are filled out. 4. 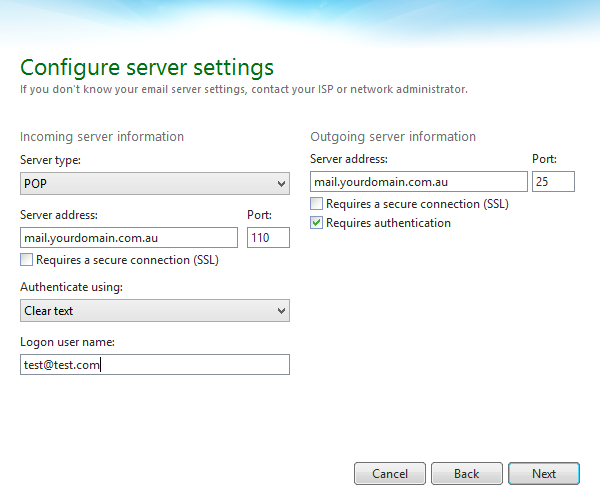 You should now be at the “Configure server settings” window. Below is an example of what you will need to fill out. 5. Please confirm the below settings are correct. ii. Server address: This will be mail. followed by your domain name. See example in above screenshot. i. Server address: Use the same server address as your Incoming server information. iii. Requires authentication must be ticked. 6. Click Next to continue once all information has been entered and checked. 7. You should now get confirmation that the account has been created. Click Finish to close the window. 8. Test your newly created account by creating a new email message and sending it to yourself. You should not receive any errors. If you cannot send and receive your test message please review your account settings by going to the Accounts tab and then clicking Properties.